To be honest: No one needs a car like this. It’s impractical, brutal and redundant. But luckily, BMW decided to built it anyway. And they called it BMW M4 GTS. Now it gave its debut in China. There are some people out there, who can tell everything about a car, just by giving them one number. Well, here it is: 7.28. Can’t tell anything about it? Well, not a problem. But now you learn! 7.28 is the time in minutes the BMW M4 GTS needs to get around the legendary Nürburgring-Nordschleife. Just in case, you asked: Yes, that pretty fast. In fact, with this time, the GTS elevates the potential of any M car to another impressive new level. The BMW M4 GTS may be the most advanced, and agile, dynamically potent car ever build in world of M. And without any doubt, it is the most radical and beautiful looking one – even, if you don’t like those light-alloy wheels colored in Acid Orange! 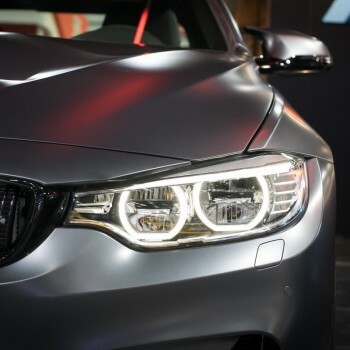 The heart of this BMW M model is the multi-award-winning six-cylinder in-line turbo engine from the BMW M4. But what makes this version special is, it adds innovative water injection technology; with which the 3.0-litre unit gets a substantial power boost. The water injection system raises the engine’s output significantly – to 368 kW/500 hp – and increases torque to 600 Nm (442 lb-ft). Hence, the BMW M4 GTS (ECE kerb weight: 1,585 kg, power to weight ratio: 3.0 kg/hp), which was consistently developed according to the lightweight construction principle, is the most agile, radical and best-handling model in the series. It races from a standstill to 100 km/h (62 mph) in a mere 3.8 seconds (via the standard-fitted seven-speed M Double Clutch Transmission (M DCT)) and hits a limited top speed of 305 km/h (189.5 mph). 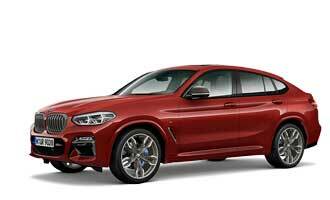 The rigorous weight-saving measures extend through both the interior and exterior of the car. Inside, carbon-fibre bucket seats, a lightweight centre console, the lightweight construction of the rear seat panelling and boot area partition, and special lightweight door and side panel trim, including door pull loops in place of solid door handles, are clearly visible indications of the designers’ commitment to weight-saving. And on the outside of the car, the newly designed bonnet, roof and adjustable front splitter are also constructed from carbon-fibre-reinforced plastic (CFRP). The adjustable rear wing, too, is cut from this light but extremely durable high-tech material. It rests on intricate, CNC-machined aluminium mounts fixed to the CFRP boot lid which likewise demonstrate how every detail, no matter how small, has been honed to minimise weight. 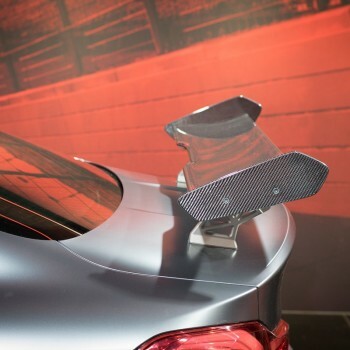 Teaming up with the diffuser – again, made from carbon fibre – below the rear bumper, the rear wing optimises the flow of air and reduces lift at the rear axle. Making short things short: The car is just perfect. What an inequity only, that it is highly limited! Only 700 units of the BMW M4 GTS will be built. While the car debuts in China for the first time at the 2016 Auto Show in Beijing, the first of 700 allotted buyers will be informed about their new assett. 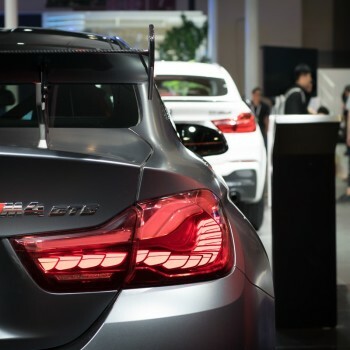 They now can choose, if they want their BMW M4 GTS be built with or without the optional Clubsport Package. 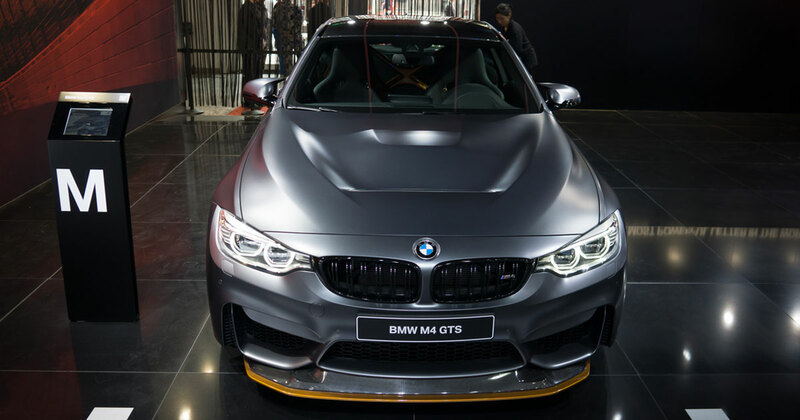 This can further enhance the affinity of the BMW M4 GTS with the race track. It includes a roll bar – in Acid Orange, of course -, a race-specification six-point harness and a fire extinguisher.